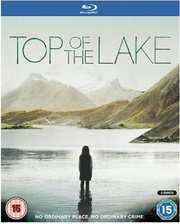 BBC Worldwide are releasing drama series Top of the Lake on both DVD and Blu-ray this coming 19th August. Written and directed by Jane Campion, this haunting mystery stars Elisabeth Moss, David Wenham, Peter Mullan and Holly Hunter. With a total runtime of 342 minutes, extras include behind-the-scenes interviews with cast and crew, whilst the recommended retail price will be £20.42 for the standard definition and £25.52 for the high-def version. Things begin with a mystery. Tui, a 12 year old girl, walks chest deep into the freezing waters of an alpine lake in New Zealand. She is five months pregnant and won’t say who the father is. Then she disappears. Robin Griffin is a gutsy but inexperienced detective called in to investigate. But as Robin becomes more and more obsessed with the search for Tui, she slowly begins to realise that finding Tui is tantamount to finding herself, a self she has kept well hidden. Set against one of the most amazing and untouched landscapes left on the planet, this is a powerful and haunting story about our search for happiness where the dream of paradise attracts it’s dark twin, the fall.